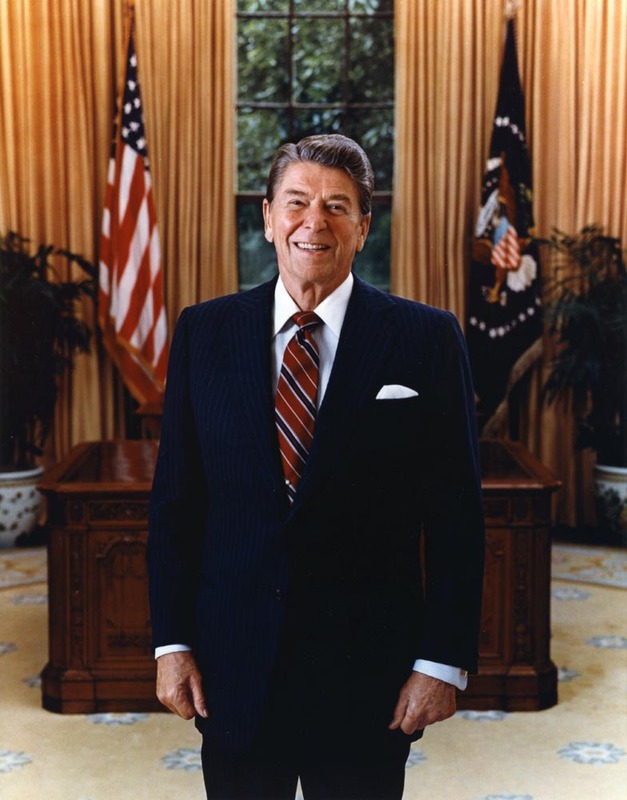 Granted the privilege of being elected to a second term, it was his first term accomplishments which enabled Reagan to describe the continued path to an even greater future. These concrete accomplishments – in the face of a terrible economy and a palpable lack of hope — gave the country confidence that we could become the shining city on a hill he so often pointed to. His February 6, 1985 State of the Union address cemented these hopes in the minds and hearts of Americans of all walks of life. Reagan’s generous, positive vision of the future was contagious. This contagion was assisted by the results of the politics and policies he pursued. Without doubt in anyone’s mind, Reagan confidently and accurately declared, “I’m pleased to report that after four years of united effort, the American people have brought forth a nation renewed, stronger, freer, and more secure than before.” Some in America did not think it possible. This is the real accomplishment of the Reagan Revolution. The expectation of Hope was transformed into realization of the Change which Reagan promised. He could promise these results because he was basing his politics and policies on time-tested principles of free enterprise and a respect for the principles enthroned by our Founders. Stating his main thesis and goal for the future, he began, “Four years ago we began to change, forever I hope, our assumptions about government and its place in our lives.” These assumptions need to be taught and re-taught in every generation, in every election, in every season. Every day. A leader can take his followers no higher than the greatest of principles he espouses. If a president’s main theme is taxing the rich to help those less fortunate – if this is his main and repeated topic of conversation year in, year out — then, this becomes by default his raison d’etre. Reagan’s: “There are no constraints on the human mind, no walls around the human spirit, no barriers to our progress except those we ourselves erect.” These themes he repeated time and time again, and then, in office infused all the policies he proposed with the true spirit of freedom. This infusion of freedom became the basis and core for all the laws that were passed. Others infuse their laws with the base assumption that government was where the responsibility was centered. Reagan knew that the best way to help those in need, was not to “increase dependency” which destroyed. “Despite our strides in civil rights,” he said, “blacks, Hispanics, and all minorities will not have full and equal power until they have full economic power.” He meant it. A rising tide truly raises all boats. This truism obtains more than the statists want to admit. Tackling the federal government’s beastly mangling of our freedoms, he, as a former governor, knew that the “States and localities” also “must not permit their tax and regulatory policies to stand as barriers to growth.” Today, this lesson is learned in some states. Others, not so much. The only and “best way to reduce deficit,” he said, “is through economic growth.” Concomitantly, the “best way to reduce government spending is to reduce the need for spending by increasing prosperity.” Most liberals did not grasp this then, and do not today. What politician could say with a straight face, and with such full intent, “Every dollar the federal government does not take from us, every decision it does not make for us will make our economy stronger, our lives more abundant, our future more free.” Decisions not made. Indeed. In other words, decisions best made by individuals. Decisions which should only be made by individuals. Not the government. To eliminate the “threat of nuclear war” he proposed the “Strategic Defense Initiative.” It purpose was to find “a nonnuclear defense against ballistic missiles.” He admitted it was “not very well understood.” So, he explained. He began by quoting Lincoln. He ends by quoting Harry Truman.” Truman once posited that “ultimately, our security and the world’s hopes for peace and human progress ‘lie not in measures of defense or in the control of weapons, but in the growth and expansion of freedom and self-government.’” Well put. And so very accurate. Would that more politicians would catch the vision that proactively and continually and creativity selling “freedom” was a full time job and imperative across all time. “Freedom,” Reagan said, “is not the sole prerogative of a chosen few; it is the universal right of all God’s children.” Reagan said that “Our mission is to nourish and defend freedom and democracy, and to communicate these ideals everywhere we can.” More than that, he saw that “America’s economic success is freedom’s success; it can be repeated a hundred times in a hundred different nations.” Can it? Surely Reagan was a right in this as he was in so many other areas. Reminding us that our history teaches us that nothing is impossible, he also said that, “History is asking us once again to be a force for good in the world.” Within just a few years the walls fell, and freedom was on the march, as never had been envisioned. Or, at least was seen by only a few. Including and especially Ronald Reagan. We’re here to stand, and proudly so, for all who struggle to break free from totalitarianism, for all who know in their hearts that freedom is the one true path to peace and human happiness. . . Abraham Lincoln said: “Something in [the] Declaration giving liberty, not alone to the people of this country, but hope to the world for all future time.” . . . In Europe, they’re calling it “the American Miracle.” Day by day, we’re shattering accepted notions of what is possible. . . . We stand on the threshold of a great ability to produce more, do more, be more. Our economy is not getting older and weaker; it’s getting younger and stronger. It doesn’t need rest and supervision; it needs new challenge, greater freedom. And that word “freedom” is the key to the second American revolution that we need to bring about. Let us move together with an historic reform of tax simplification for fairness and growth. . . . One thing that tax reform will not be is a tax increase in disguise. We will not jeopardize the mortgage interest deduction that families need. We will reduce personal tax rates as low as possible by removing many tax preferences. We will propose a top rate of no more than 35 percent, and possibly lower. And we will propose reducing corporate rates, while maintaining incentives for capital formation. . . . To restore fairness to families, we will propose increasing significantly the personal exemption. . . . I am instructing Treasury Secretary James Baker to begin working with congressional authors and committees for bipartisan legislation conforming to these principles. . . . Tax simplification will be a giant step toward unleashing the tremendous pent-up power of our economy. But a second American revolution must carry the promise of opportunity for all. It is time to liberate the spirit of enterprise in the most distressed areas of our country. This government will meet its responsibility to help those in need. But policies that increase dependency, break up families, and destroy self-respect are not progressive; they’re reactionary. Despite our strides in civil rights, blacks, Hispanics, and all minorities will not have full and equal power until they have full economic power. . . . The Federal Government can help create a new atmosphere of freedom. But States and localities, many of which enjoy surpluses from the recovery, must not permit their tax and regulatory policies to stand as barriers to growth. . . . The best way to reduce deficits is through economic growth. More businesses will be started, more investments made, more jobs created, and more people will be on payrolls paying taxes. The best way to reduce government spending is to reduce the need for spending by increasing prosperity. . . . We will not do this by raising taxes. We must make sure that our economy grows faster than the growth in spending by the Federal Government. . . .
Growth of our major health care programs, Medicare and Medicaid, will be slowed, but protections for the elderly and needy will be preserved. National security is government’s first responsibility; so in past years defense spending took about half the federal budget. Today it takes less than a third. . . .
You know, we only have a military-industrial complex until a time of danger, and then it becomes the arsenal of democracy. Spending for defense is investing in things that are priceless – peace and freedom. We must reduce or eliminate costly government subsidies. . . . Nearly 50 years of government living beyond its means has brought us to a time of reckoning. Ours is but a moment in history. But one moment of courage, idealism, and bipartisan unity can change American history forever. Sound monetary policy is key to long-running economic strength and stability. . . .
Reducing unneeded red tape and regulations, and deregulating the energy, transportation, and financial industries have unleashed new competition, giving consumers more choices, better services, and lower prices. . . . Every dollar the federal government does not take from us, every decision it does not make for us will make our economy stronger, our lives more abundant, our future more free. . . .
Now, there’s another great heritage to speak of this evening. Of all the changes that have swept America the past four years, none brings greater promise than our rediscovery of the values of faith, freedom, family, work, and neighborhood. . . . We’ve seen a powerful new current from an old and honorable tradition – American generosity. . . .
We must go forward in our commitment to the new basics, giving parents greater authority and making sure good teachers are rewarded for hard work and achievement through merit pay. . . .
For the first time in 20 years, the crime index has fallen two years in a row. We’ve convicted over 7,400 drug offenders and put them, as well as leaders of organized crime, behind bars in record numbers. . . . There can be no economic revival in ghettos when the most violent among us are allowed to roam free. It’s time we restored domestic tranquility. And we mean to do just that. . . .
We have resumed our historic role as a leader of the free world. . . .
For the past 20 years we’ve believed that no war will be launched as long as each side knows it can retaliate with a deadly counterstrike. Well, I believe there’s a better way of eliminating the threat of nuclear war. It is a Strategic Defense Initiative aimed ultimately at finding a nonnuclear defense against ballistic missiles. It’s the most hopeful possibility of the nuclear age. But it’s not very well understood. Some say it will bring war to the heavens, but its purpose is to deter war in the heavens and on Earth. Now, some say the research would be expensive. Perhaps, but it could save millions of lives, indeed humanity itself. And some say if we build such a system, the Soviets will build a defense system of their own. Well, they already have strategic defenses that surpass ours; a civil defense system, where we have almost none; and a research program covering roughly the same areas of technology that we’re now exploring. And finally some say the research will take a long time. Well, the answer to that is: Let’s get started. And tonight, we declare anew to our fellow citizens of the world: Freedom is not the sole prerogative of a chosen few; it is the universal right of all God’s children. . . . Our mission is to nourish and defend freedom and democracy, and to communicate these ideals everywhere we can. America’s economic success is freedom’s success; it can be repeated a hundred times in a hundred different nations. Many countries in east Asia and the Pacific have few resources other than the enterprise of their own people. But through low tax rates and free markets they’ve soared ahead of centralized economies. And now China is opening up its economy to meet its needs. . . . I ask all our trading partners, developed and developing alike, to join us in a new round of trade negotiations to expand trade and competition and strengthen the global economy – and to begin it in this next year. . . .
We cannot play innocents abroad in a world that’s not innocent; nor can we be passive when freedom is under siege. Without resources, diplomacy cannot succeed. . . . We must stand by all our democratic allies. And we must not break faith with those who are risking their lives – on every continent, from Afghanistan to Nicaragua – to defy Soviet-supported aggression and secure rights which have been ours from birth. . . .
Two hundred years of American history should have taught us that nothing is impossible. . . . Anything is possible in America if we have the faith, the will, and the heart. History is asking us once again to be a force for good in the world. Let us begin in unity, with justice, and love. . . .